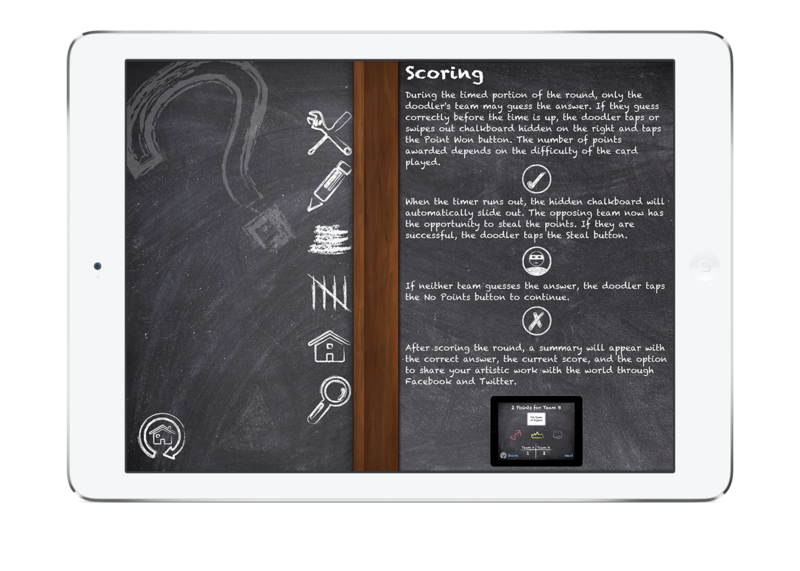 Made for iPad, Designed for Apple TV! 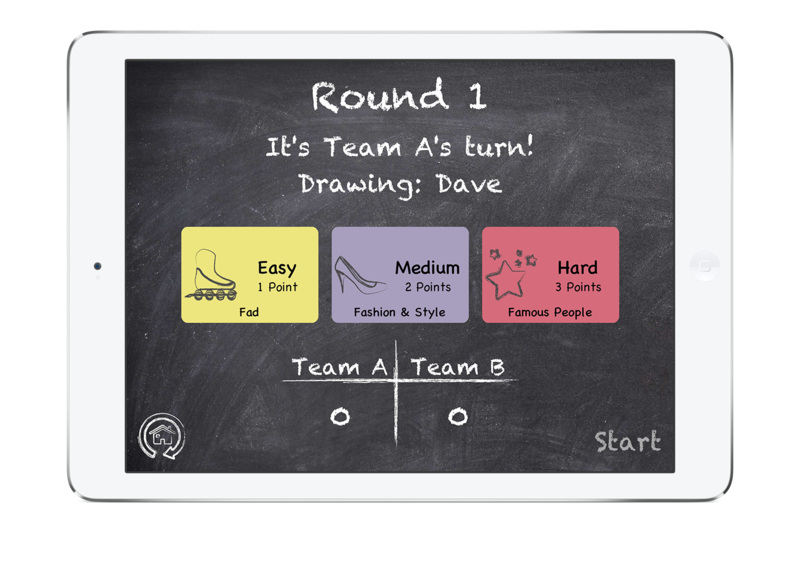 Party Doodles is the ultimate party drawing and guessing game. 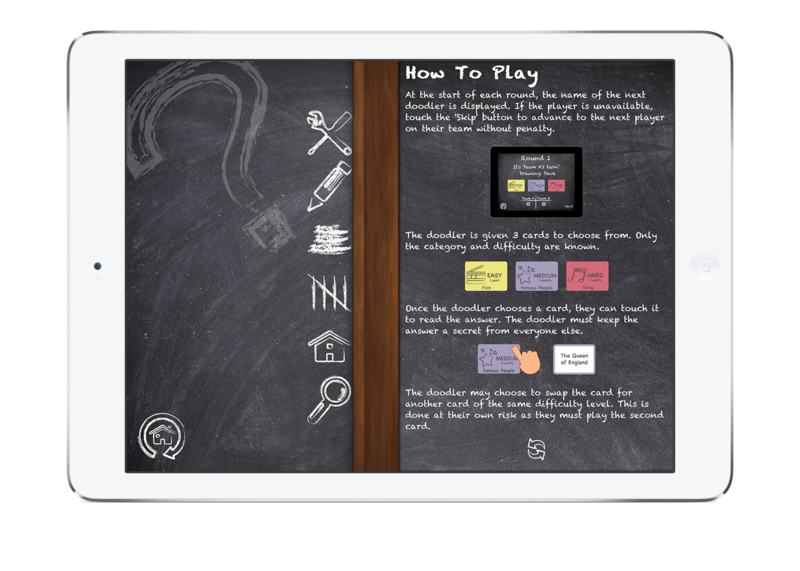 All you need is your iPad and some friends or family to get started. You will have hours of fun doodling and stumping each other with this laugh-out-loud party game! Download Party Doodles today - it's free - and get the party started! 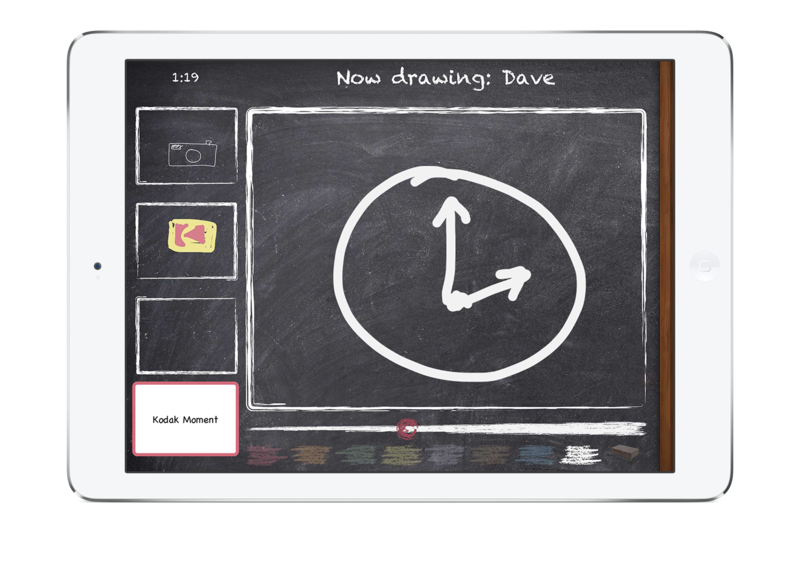 If you want to experience the ultimate game play, connect to Apple TV, draw something, and watch your masterpieces come to life on the big screen. 1. Activate the Control Center on your device. 2. Tap the AirPlay icon. 3. 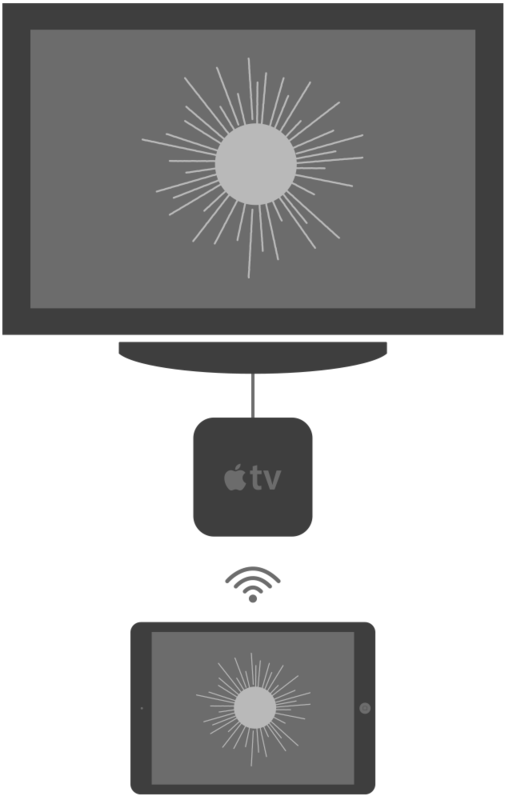 Select Apple TV and turn Mirroring on.